“Change the Money” is the theme for mcd magazine’s new special issue and it includes the article “Artists as Bankers, Currency as Art“, which you can read in English here at Coinspiration. 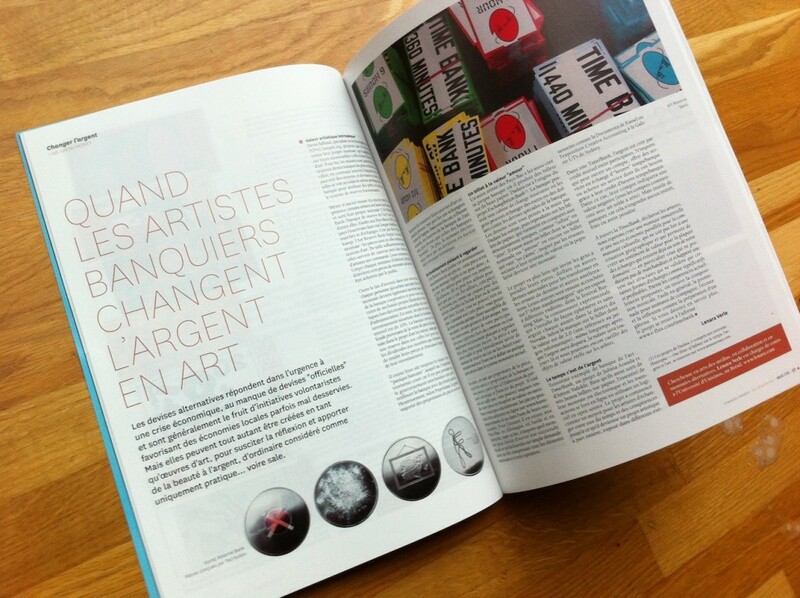 The printed magazine looks great and is available in French for now. It’s a great pleasure to be published in this special issue together with Michel Bauwens, Brett Scott, Jaromil, Giselle Beiguelman, Tiziana Terranova, and many other talented artists and researchers.